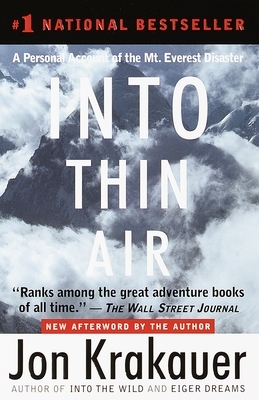 Now available in paperback comes the bestselling adventure book by Jon Krakauer, the acclaimed author of Into the Wild. When disaster struck during his ascent of Mt. Everest, killing eight climbers, Krakauer survived by luck, skill, and discipline. Now, he has written the definitive account of this headline-making tragedy. Illustrations.